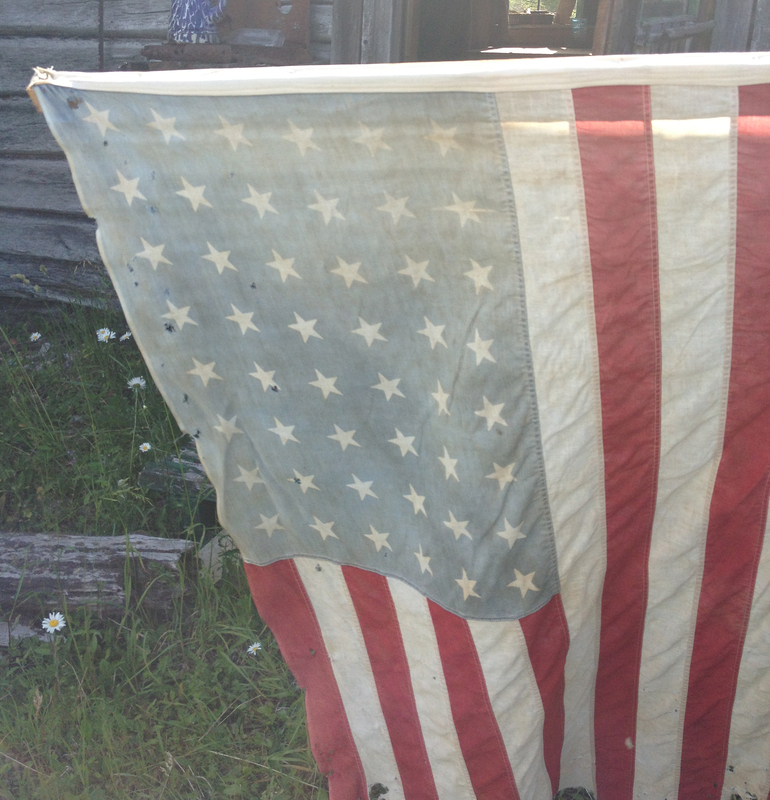 Good morning – it July 2, 2013 — Today’s topics 1. 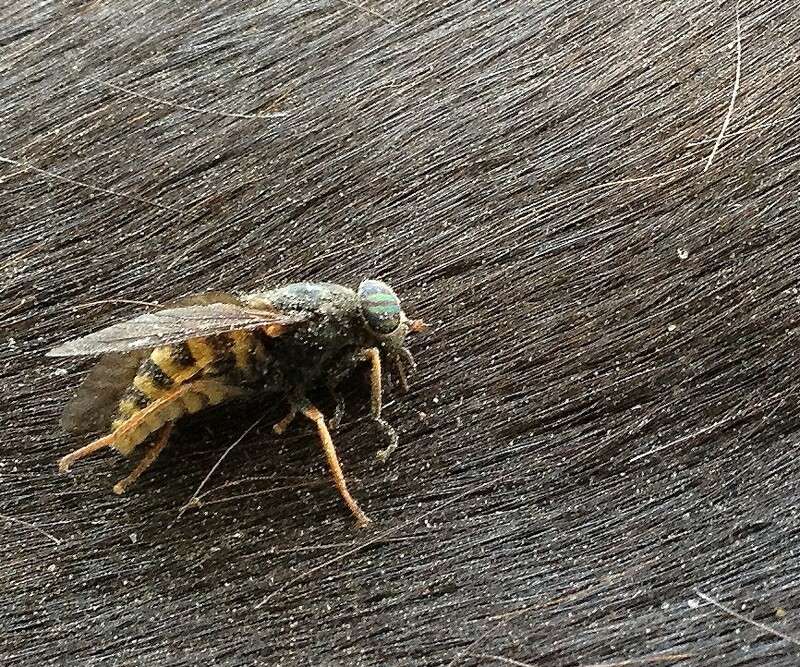 Horse flies, 2.Trail ride warm-up, 3. Flags, 4. Grandpa in 1903. In three days I need to be ready to travel to New York City — Will be there a while. Grandma having tooth work done — Schedule there uncertain until at least first dentist look- see. So have much to do to shut this place down and ride Perla in 4th of July parade. So, if I do not post each day u know why — well, I will try to use ipad to do so even while travel. 1. Yesterday I showed you that we protected our horses from horse flies — they zing around and that makes it difficult to photo them — but I finally photographed one to show you! 2. 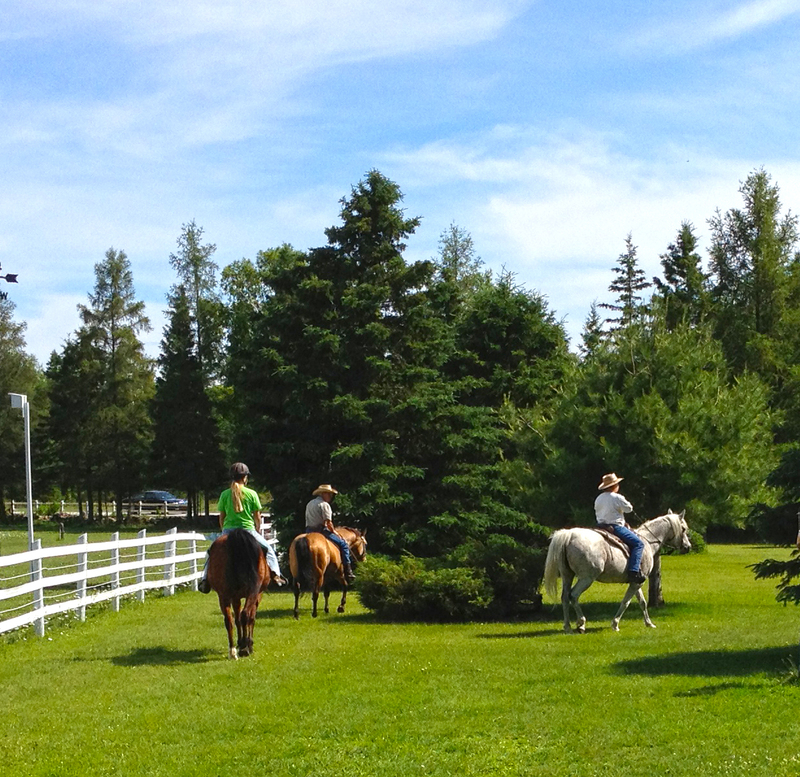 Trail ride warm-up. Every trip out — wether we go north, south, east, or west we do a warm up — just like any athletic –like baseball pitchers like Charlie, Tennis greats like Patrick, Golf folks like Grandma, — or what ever — why do you not send me a photo of your warming-up for your sport — what ever it may be and I will post it so may see others. Our horse trail ride warm up consists of doing figure 8, 9, etc around these bushes to get us and the horses into good communicating form. turn left, turn right , whow — stop, back up, run into branches without jumping — etc. You guys out there . tell me about this flag. 3. 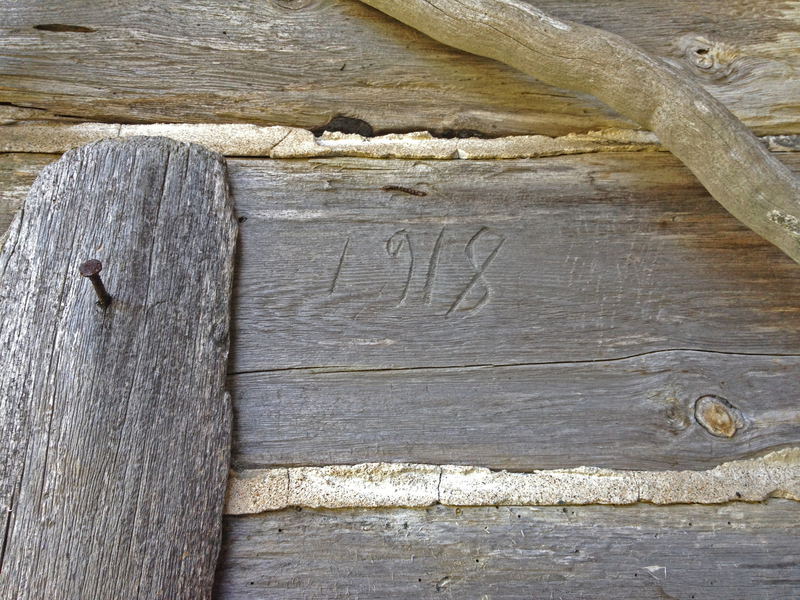 Here is a flag for you to study — on our trail ride we came upon a cabin with 1918 carved in the logs — and a flag hanging on it. Is this today’s flag? — was it the 1918 flag? Study it and post your answers in the comment bubble. THANKS! On way back from Perla ride saw a skydiver — Guess he jumped out of plane so he could celebrate the 4th on Drummond! Thanks for the entry. What a picture of that fly! Learned a new word, “harrowed.” I’ll leave the flag question to others. But I’ll give a hint (or obfuscation): Palin & Obama are two stars.